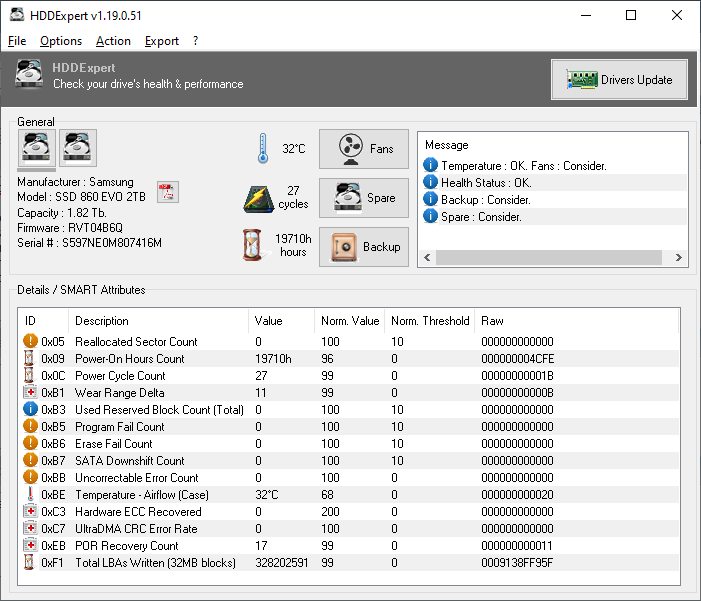 HDDExpert gives you a crystal-clear vision of your Hard Drive (HDD or SSD) health and performance and translates S.M.A.R.T. attributes into a readable indication. It then recommends maintenance (fans upgrade, spare purchase, backups and more) depending on the amount of failures detected on your hard drives. 4,848 6,789 KC Softwares <img src="https://www.oldergeeks.com/downloads/gallery/thumbs/hdde_screen_th.png"border="0"> Nov 24, 2018 - 13:23 1.18.2.41 1.78MB ZIP , out of 11 Votes.